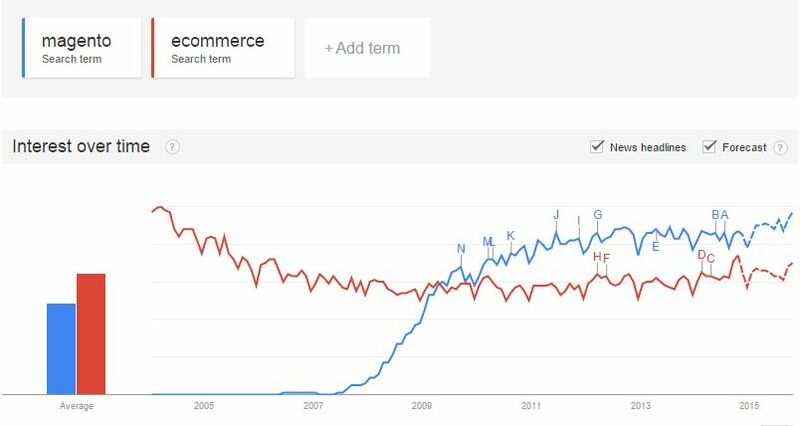 I’ve found an old post from Bob Schwartz blog, where he noted that Magento is more popular keyword in Google than eCommerce and decided to check, is it still true. So I went to Google Trends and had a look. Appeared that it is, in worldwide searches “Magento” appears more often than “ecommerce” as you may see the graph screenshot at the begin of this post. 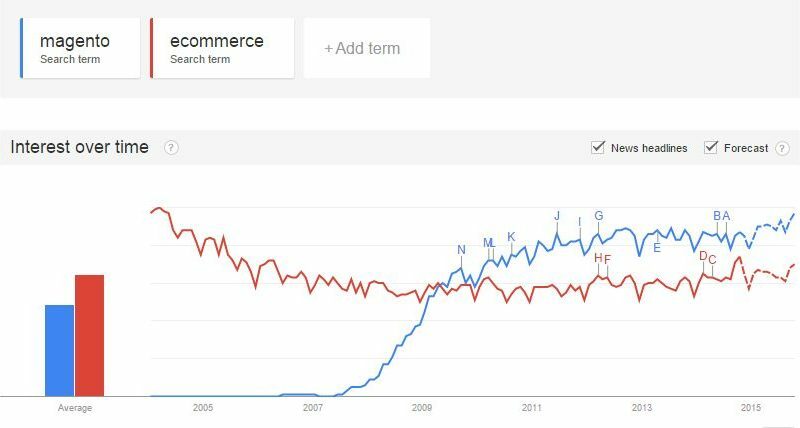 You may check interactive graph for “Magento”, “eCommerce” and “ecommerce” keyword below, or click the link to Google Trends from the graph to do play more with the data.